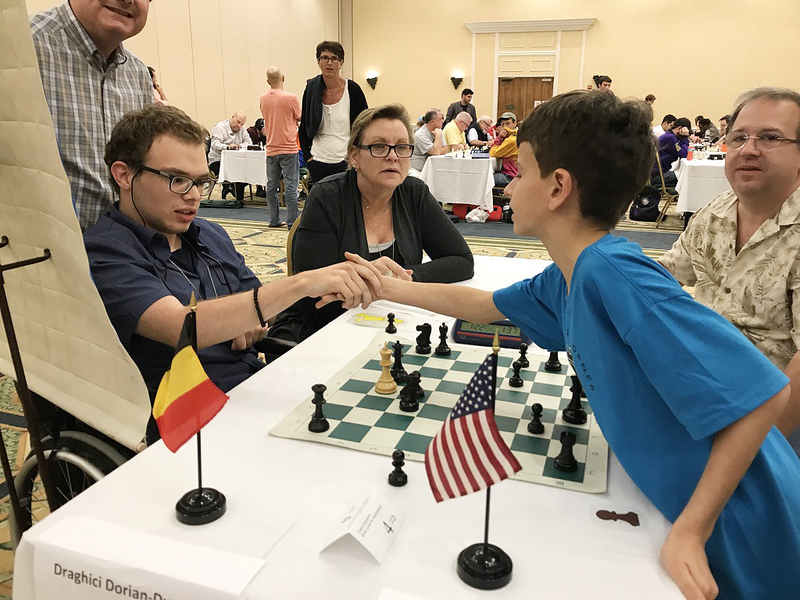 FLORIDA (USA) – Round 3 of the FIDE World Junior Chess Championship for the Disabled took place on June 24th, 2017. 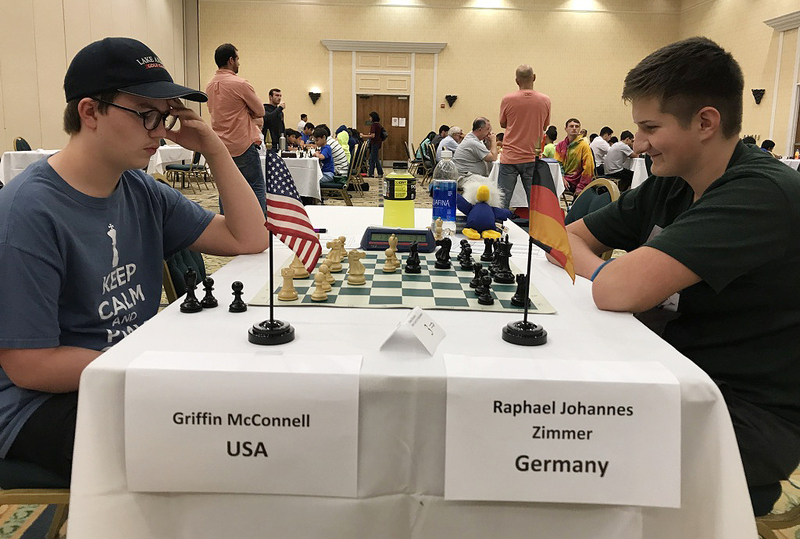 It featured a pairing between the two players, Griffin (USA) and Raphael (Germany). After a long fight of four (4) hours of play, Raphael was victorious. A nice game was played between Dorian and Paul where the young American won his first game. Paul (USA) and Dorian (Belgium) shake hands after the game. Samarth (India) and Natasha (Puerto Rico) after their 3rd Round. 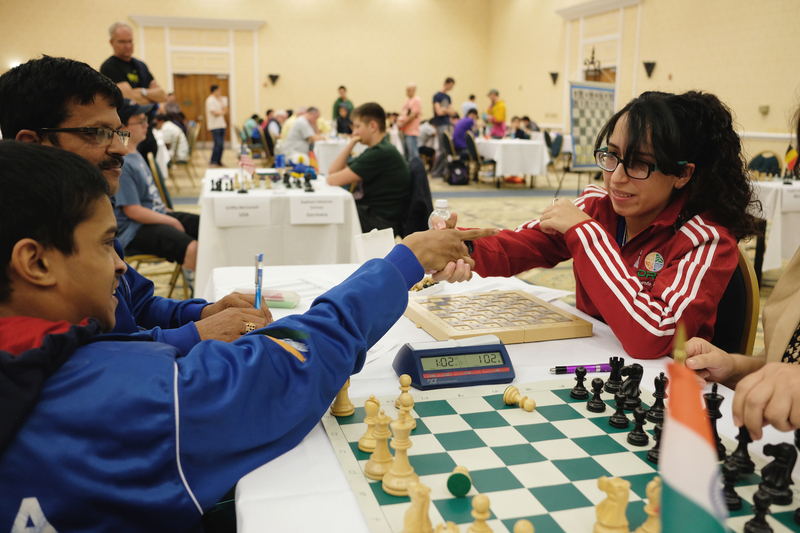 In an interesting game between Samarth (India) and Natasha (Puerto Rico), the young player from India won. After three (3) rounds, Raphael leads with 3 points. 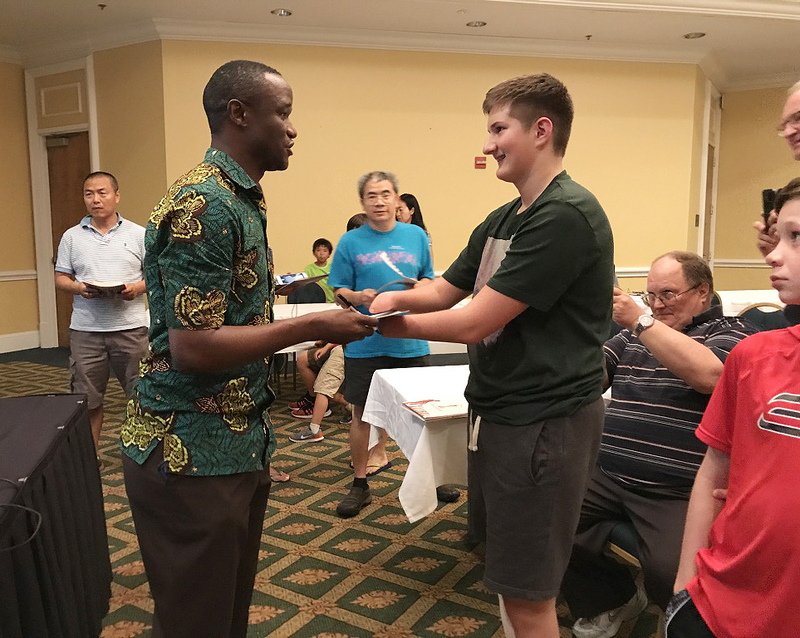 In the afternoon, all players and friends attended a Q & A with Robert Katende and Phiona Mutesi which was followed by a screening of the Disney movie, Queen of Katwe. Robert Katende meets Raphael at the Q & A prior to the Queen of Katwe screening. 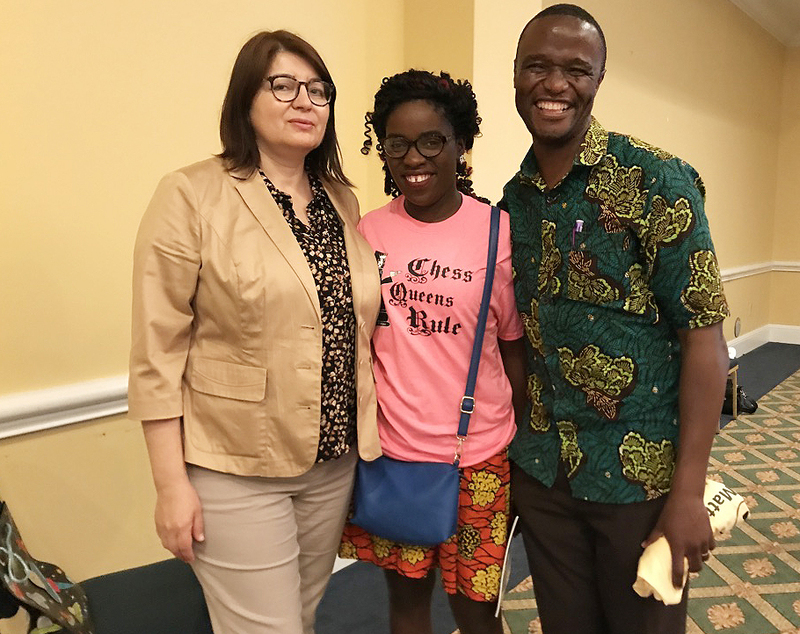 Beatriz Marinello, Phiona Mutesi, and Robert Katende at the Q & A and Queen of Katwe screening. The remarkable story of Phiona shows the importance of how chess is not just a game but a transformative tool that can give opportunities to young people and teach life skills. Round 4 of the 7 rounds will be played on June 25th at 5pm. Stay tuned for more coverage!